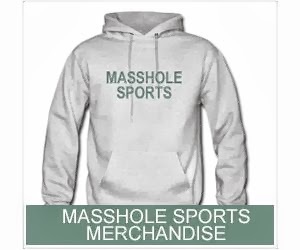 Masshole Sports: Not Only Did The Red Sox Lose Last Night, Mike Napoli Left The Game With A Dislocated Finger. 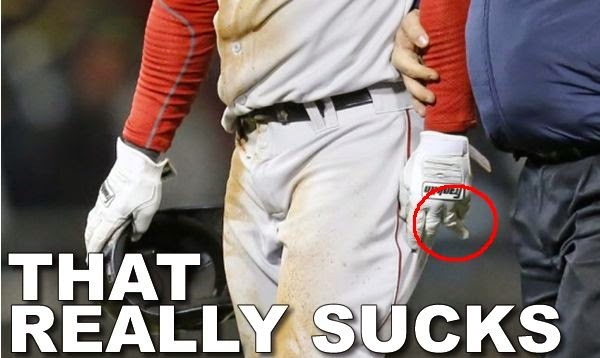 Not Only Did The Red Sox Lose Last Night, Mike Napoli Left The Game With A Dislocated Finger. The ring finger on Napoli's left hand was sticking out at an unnatural angle after he dove headfirst into second base while advancing on a wild pitch in the ninth inning against the Chicago White Sox. The finger was dislocated, the Red Sox said, and reset by a White Sox team doctor. Napoli wore a splint on the finger as he spoke with reporters. "It's not broke," he said. "I can play with some soreness. I guess we'll see how it goes tomorrow." If he misses any time, this team is screwed.